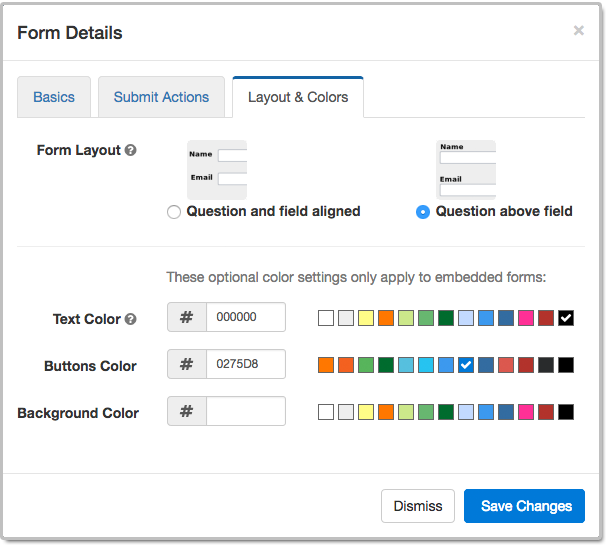 The latest version of the Form Builder now allows FormSmarts members to change the color of buttons on their online forms. 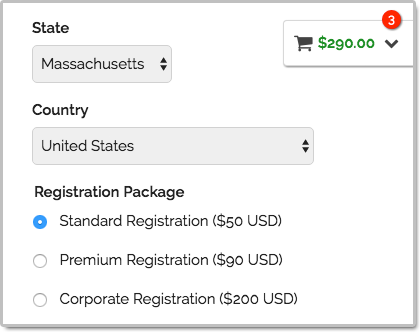 The Buttons Color setting only applies to forms embedded on customers websites. 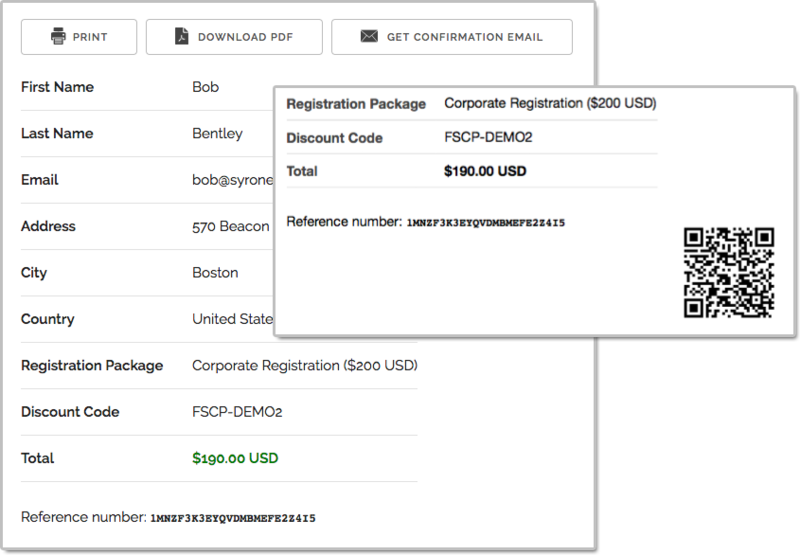 Standalone forms accessed via their FormSmarts.com or f8s.co URL use a standard color scheme. 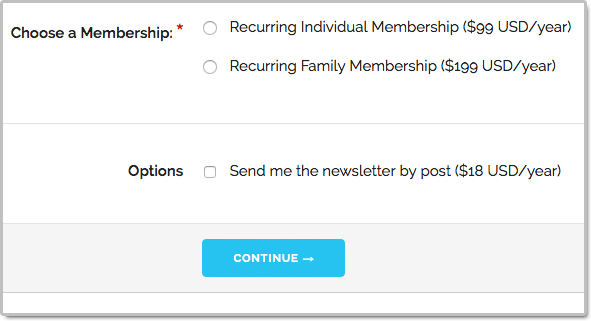 The color of buttons can only be changed on the current version of our forms. If you’re still using the old one, you probably shouldn’t. The current version is more secure and offers a better user experience. Please update your site. 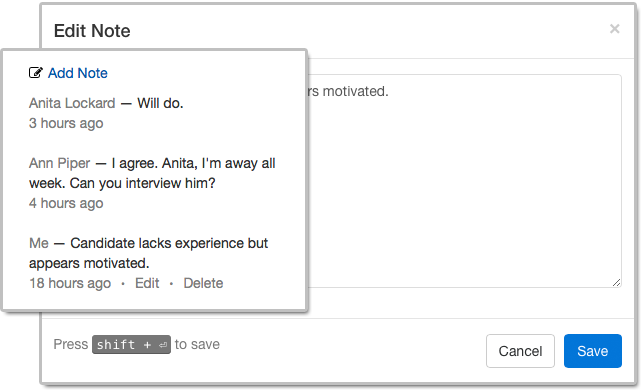 Like most customizations, this functionality requires at least a Starter account. 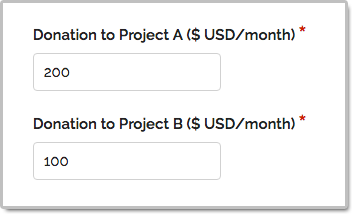 As part of this form builder update, we slightly reorganized how information is presented in the Form Details screen illustrated above. The form layout and color settings that were in the Basics tab in earlier versions have been moved to a new Layout & Colors tab. Posted on Aug 24th, 2018 in online form. 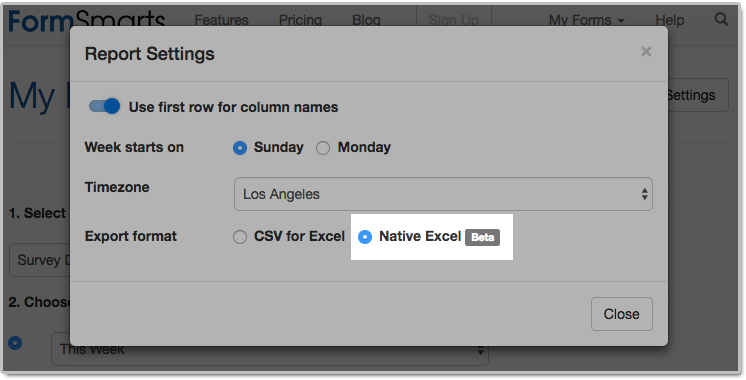 When Should You Export Forms to Native Excel (XLS) instead of CSV? FormSmarts allows customers to collect online form submissions on the cloud and download aggregated entries in a format, CSV, which is supported by all spreadsheet applications (including Microsoft Excel, Apple Numbers and Apache OpenOffice) and many other data analysis tools. We’ve recently added the option to export form responses to native Excel format (.xlsx or .xls) instead of the default CSV for Excel. The main reason we decided to support the new export format is to solve an issue with phone number fields that may not be displayed correctly when Excel opens a CSV file. The Excel XLSX format also has a few other benefits, but we expect most members to continue using the default CSV format in the foreseeable future. Please read on to find out if and when you would benefit from using the new format. Provided you have set the Allowed Content (data type) of phone input fields to Phone Number, FormSmarts stores phone numbers as character strings rather than numbers to ensure any leading zero is not dropped from phone numbers. Unfortunately, Excel interprets character strings that only contain digits as numbers, thus removing leading zeros. Members who collect phone numbers on their forms, especially in locales where phone numbers may start with a zero (some US states and part of Asia & Europe), should set the Export Format to the Native Excel option in the Report Generator settings, as illustrated above. If you find out when opening a CSV spreadsheet from FormSmarts that leading zeros were dropped from phone numbers, update the export format and create another report. 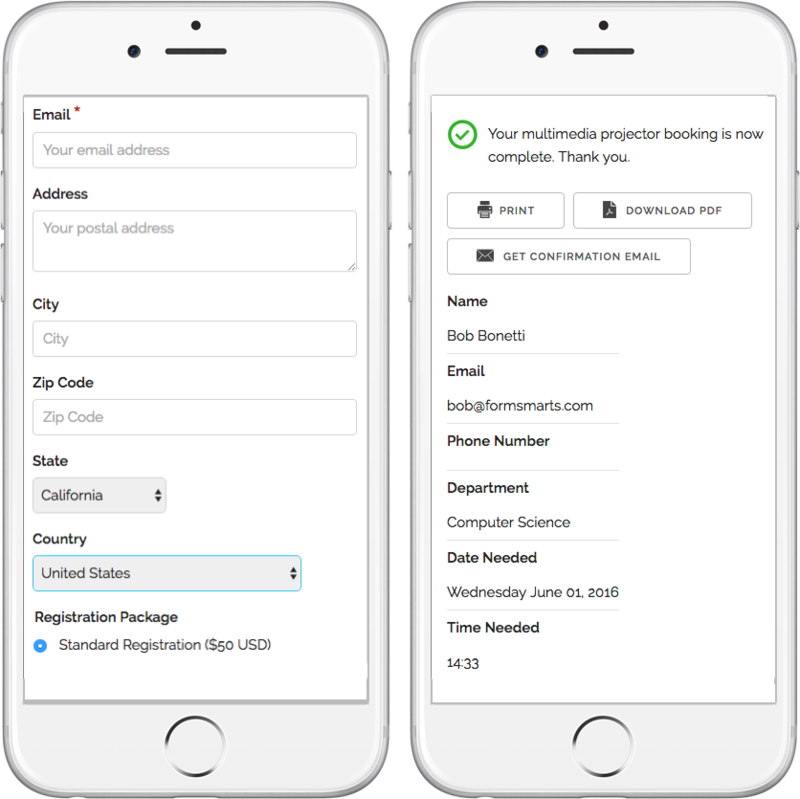 Provided phone input fields were correctly created as phone number fields, the correct information, with any leading zeros, is stored on FormSmarts. No information was lost, any errors is due to the Excel import process and can be easily fixed by generating a new report after changing the export format. All settings of the Report Generator but the timezone are kept in your browser, so as long as you use the same browser and allow FormSmarts to store information in your browser, your export preference will be saved from one session to the next. When a spreadsheet contains data in a language other than English or another Western-European language, customers need to make sure when opening an Excel/CSV report from FormSmarts they select the UTF-8 (Unicode) encoding in Excel’s Import Wizard. The content of the spreadsheet may otherwise not be displayed properly. Alternatively, exporting form entries to a native Excel (.xlsx, .xls) spreadsheet removes the need to select the correct text encoding. Note that FormSmarts stores data with a universal encoding (UTF-8) that supports all languages, so if you find out that a report appears corrupted when opening the spreadsheet, open the file again and select the UTF-8 encoding or switch the export format to Native Excel: no data was lost or corrupted. The FormSmarts Reference Number (the penultimate column in the spreadsheet) links to the entry on FormSmarts. Use this link to add a note to an entry, check where it was submitted from (IP address, IP location), export it to PDF, print it, delete it and more. 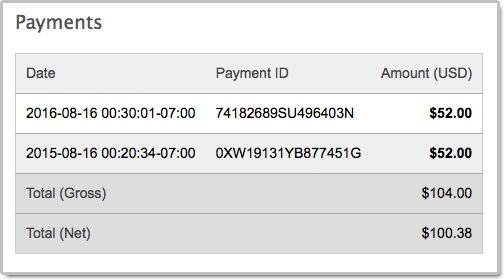 As we add more functionality to the page showing individual form entries (like the ability to tag and edit an entry), we expect more and more customers to rely on links in the spreadsheet. The native Excel format is supported with Business Plus accounts and above. Posted on Jul 26th, 2018 in online form. We’ve updated the design of our forms. 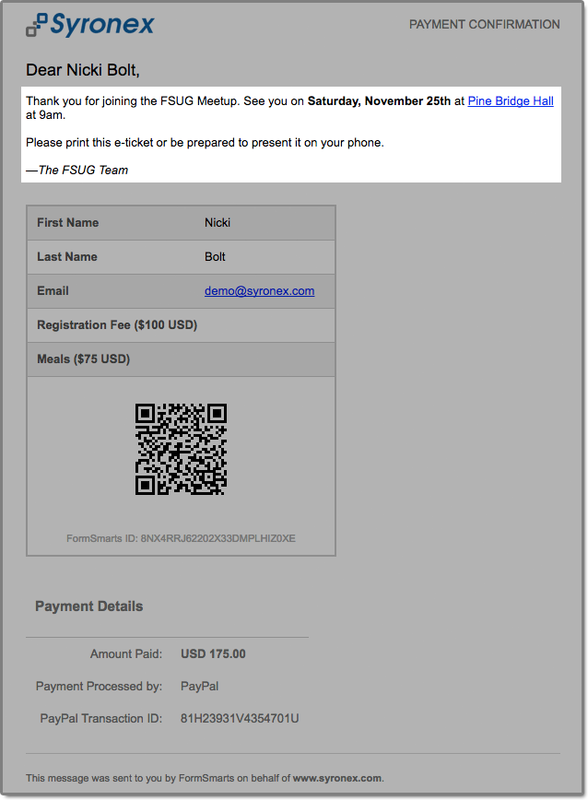 The new forms provide a superior user experience on all devices; mobile, desktop and smart TV. How Can I Start Using the New Form Version? 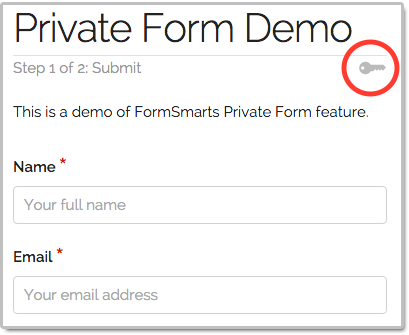 If you’re using standalone forms, use the new FormSmarts.com URL provided. What Do You Think About the New Form Design? 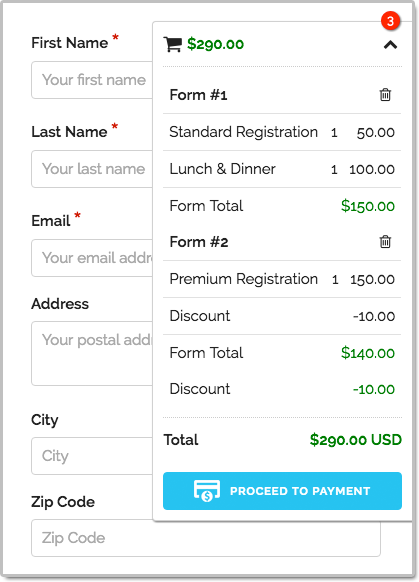 Please share your thoughts and feedback about the new form design. Write a comment to this blog post or let us know on Twitter @FormSmarts or Facebook. Posted on Jun 7th, 2016 in online form.